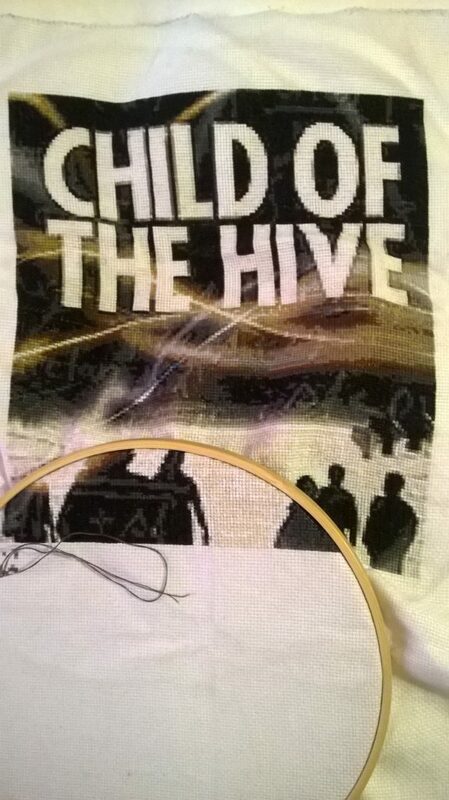 My efforts to transform my book covers into cross stitch continues. 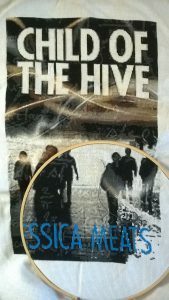 My latest piece is for Child of the Hive, the first novel I ever had published (UK link, US link). This piece of embroidery is nearly complete and should hopefully be finished by this time next week. At this rate though, it’s taking me longer to sew the covers than it is to write the books.